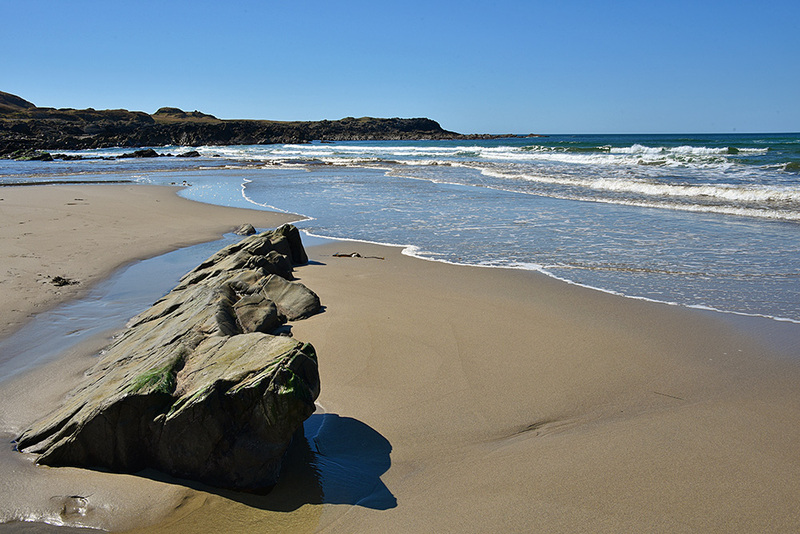 A sunny April 2015 view of Saligo Bay on the west coast of Islay. During the winter storms a lot of sand had been washed away and previously hidden stones were exposed. This entry was posted in Beaches, Landscape, New Post, Sunny Weather and tagged Islay, Rhinns of Islay, Saligo, Saligo Bay by Armin Grewe. Bookmark the permalink.